true or not? Is it just user error when re-attaching the mount, or do all brands, no matter the design, have some shift in POI? I'm rather curious as to what causes shifts in POI with mounts such as the American Defense AD-Recon mounts. The lever on the mount pushes against the side of the picatinny rail just like a normal mount does. Only instead of torquing down hex-head screws, you torque the screws on the opposite end of the levers to give it the proper tension. As long as that exact tension remains in place(i.e. marking them), push foward and secure them closing the front lever first, then the back, and obviously ensuring the mount is in the same spot as it was before on the rail, I have a hard time seeing how there'd be a POI shift. I can see it with the larue mounts but reports of ADM mounts having POI shifts just confuses me. What's everyone's consensus on this? And how drastic do you think the affects are? Say shifts affecting a .308 rifle going out to 800 yards versus a .338 Lapua going out to 1500 or more. Any experience with this? I have no use for QD mounts but I would think there would have to be user error involved. Was everything clean and free of burrs, build up of coatings anywhere that could have changed from one mounting to the next? Another thing is fasteners stretch everytime they are torqued. If I torque my rings to the base at 65inlbs, a point on the nut may face 12:00. If I take it off and put it back on and torque to 65inlbs that same point may now have to rotate to 6:00 to get the same torque. So is the throw lever really applying that same tension everytime it is thrown? While not on a precise weapon, I have an Aimpoint PRO in an LT 129 mount. I gave it a quick test on day while at the range. Started with a zero at 25 yards and fired 3shots. Removed the mount from the gun. Reinstalled the mount in the same location and fired 3 more shots. All 6 shots were in the same area. There was no 1/4-1/2 inch space between the groups. All 6 shots were all together. 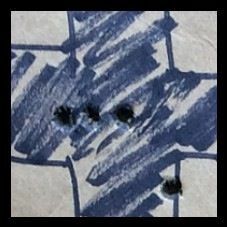 If I had a magnifier I would try the same at 100 yards. 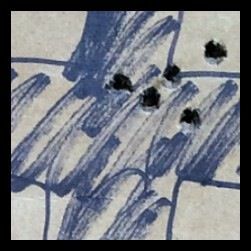 The dot covers up pretty much all of the target so it would be very hard to say I was aiming in the same place. Now once I get the SPR up and running I will be trying the same at any distance I shoot at. Disclaimer- I'm new to anything precise and have little knowage of MIL-MOA. The above was just a quick test to see if LT mounts do what LT mounts do. They do IME. Good point but it sounds like something that would take a while. I mean unless someone over torques it way too far. I.e. needing a hammer or object to force-close the clamps. Mr Popnfresh- what's the story with your Avatar? Clearly that is what she looks like. Least that's what I tell myself. I just tested my LT SPR-E mount this weekend for repeatability. I had shot at a coyote early on Sunday morning, and missed it! I blamed it on the fact that I had removed the scope and remounted it a few days before without re-zeroing the rifle. First I shot the rifle at 100yds to see if it was off, or if I just threw the shot. I was hitting 6-7 inches high! Obviously there was a problem. Either the Larue mount did not return to zero, or there was some user error involved. I decided to test it. Then I removed the scope/mount. I dropped it in the soft/wet dirt (that was not part of the test, but it IS what happened). I then remounted the scope in the exact same place on the rail (this is probably where I messed up the first time, as I did not mark the rail), and shot this group. I'd say it's still "on". Maybe not good enough for 1000yds, but it works just fine to knock down a coyote! Here is some good information on the subject, read down a little, the second half of this thread tests repeatability of a Larue QD mount. Here's John's review of the ADM mount on his AI. I performed the same test with the ADM Recon as I did with the Larue in the thread referenced in my post above. I found the same results as this guy did as far as the ADM. Compared to the Larue mount the ADM had poor repeatability. There was no measurable difference in the Larue mount test target in group size or location. The ADM mount test target was + 1.5 MOA, over three times larger than the Larue test target. 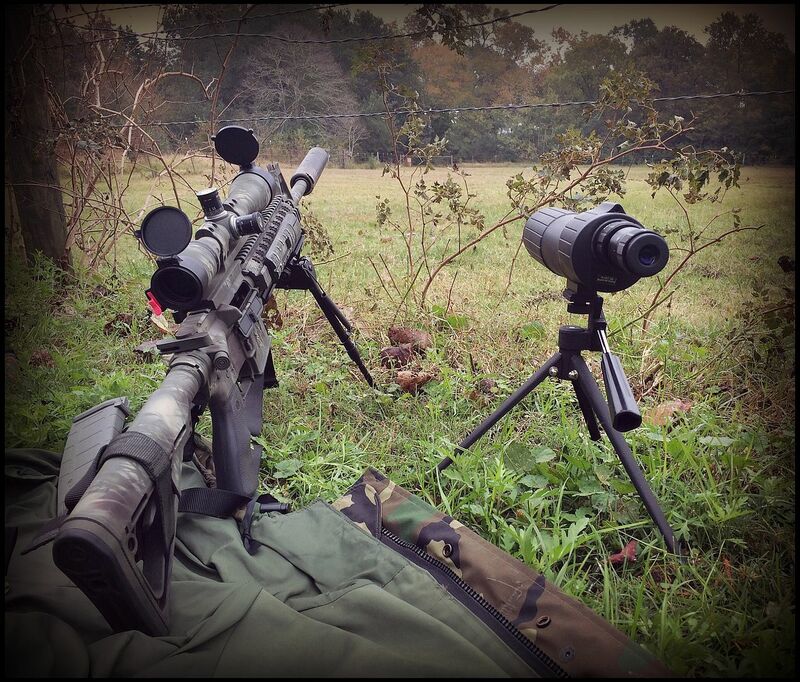 I use Larue and ADM both, they are quality mounts, that said on a rifle that I intended to remove the scope on regular basis, Larue is the only mount I would use. This guy also has the ADM mount FAR TOO TIGHT on the rail. The lever nut needs to be loosened up several notches by the looks of his struggle in the video, tighter is not always better. This can attribute to the poor repeatability he encountered for several reasons. Ive found Bobro to return to zero very well. I bought the Bobro Koolaid, and can say I've yet to be dissabpointed as I've never made an adjustment after a remount. My LaRue mounts have absolute minimum shift. I have a bunch of them on gas guns. I do use Seekins rings on my bolt guns though. I don't really need to take them off but they can return them to zero with my Borka anyway.